Acupuncture is a traditional form of health care that began thousands of years ago in China. 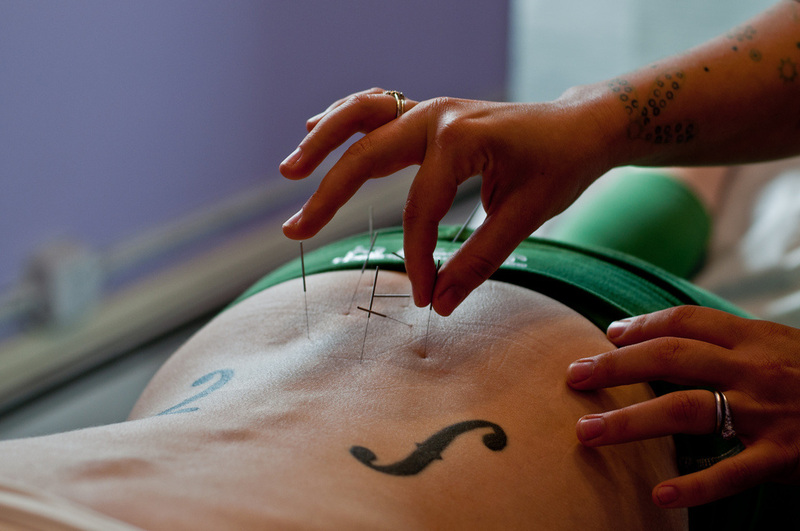 Acupuncture works to balance the body's Qi by manipulating flow via needles through pathways called meridians. Acupuncture has various effects and a multitude of methods that can be used to form a very personalized treatment protocol. In the modern era, or era of western medicine, Acupuncture is believed to act in a different fashion. It is believed to act in a more mechanical basis, influencing what's called the fascia or connective tissue in the body. This view supports the application of acupuncture towards decreasing muscle tension and breaking apart adhesions. With the addition of electrical stimulation to the needles, acupuncture may be used to help on a biochemical level as well. Suffice it to say, there is still much to be learned about this ancient form of therapy. What we do know is that research supports the use of acupuncture for many conditions. How does Acupuncture help you? See your health professional or contact us to find out if Acupuncture can help you!